Hallowell Press is based in Denmark, on the south coast of Western Australia. We publish work related to the environments and communities of the Great Southern region, and its connections to the broader world. The Press aims to produce beautiful, resilient books of contemporary relevance and lasting value, using archival-quality materials. 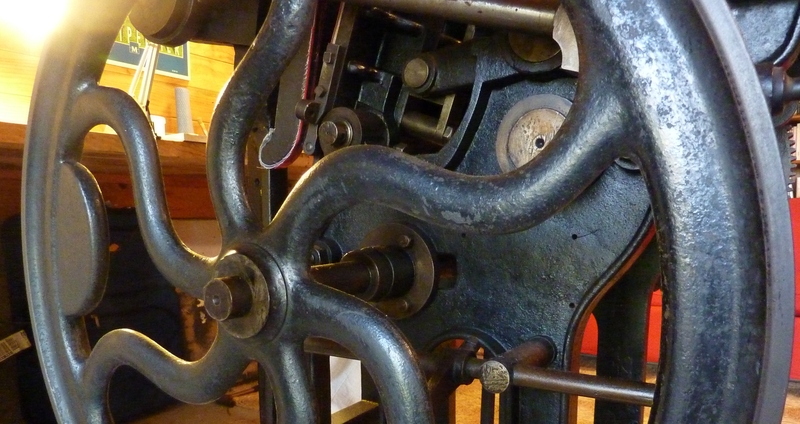 We use an Arab treadle platen press, manufactured in Halifax, England in the Nineteenth Century, for printing letterpress text and relief etching imagery. Our digital printing utilises natural pigments on mould-made papers. We operate from our studio on Minsterly Road, near Ocean Beach. With the help of friends, the Arab has been recently persuaded to join us. Alison Kershaw is a painter & printmaker based at the Butter Factory Studios in Denmark. Graham Kershaw is an architect and author. Simon Parry is a scholar and a gentleman. We can be contacted by email at hallowellpress@gmail.com, by phone on (08) 9848 2606 or by good old snail mail at Hallowell Press, 148 Minsterly Road, Denmark WA 6333, Australia.